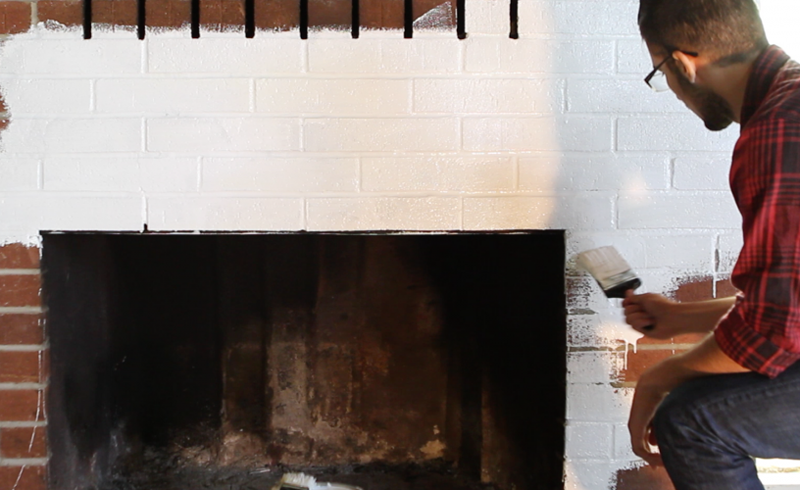 Just follow our quick video tips for an easy painting project. 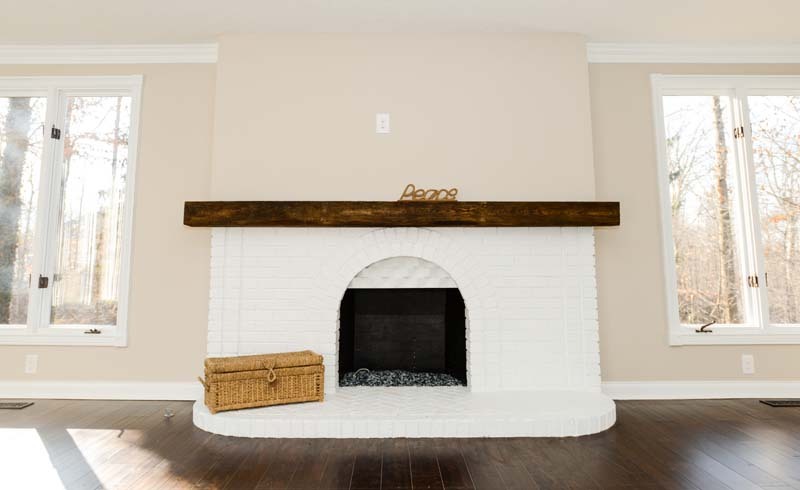 Have you been dreaming of painting your dated brick fireplace? Painting brick is no more difficult than painting a wall, but it is nearly impossible to remove once the paint is dry, making this change pretty permanent. Some homeowners are adamant about not painting over natural materials such as brick, stone or wood. However if you’re dying for a fireplace re-do, simply purchase paint supplies like you would for any other paint project and dive in! You’ll want to have on hand the usual paint supplies: primer, paint, painter’s tape, drop cloth, rolling brush, hand brush and possibly a detailing brush for difficult to reach areas. Try to buy a low-VOC paint which produces non-toxic fumes, and paint in a well ventilated area. Spend the time to prepare your space with painter’s tape and drop clothes; a good paint job is based on preparation. Like all painting projects, the best results come from careful preparation. Tape the area carefully and cover the floor (even the best painters have splattering). You’ll want to thoroughly clean the surface of the brick. Soot is an oily substance and paint will have a hard time sticking to it. We’ve created a super easy brick cleaning recipe here. Once the brick is clean and dry, you’re ready to paint. Looking for paint color inspiration? Look no further than the inspiration pages on Porch. You may already have an idea of the colors or shades but sometimes it’s helpful to see that color in a room setting. Or use this virtual painting tool from Valspar to help narrow down your choices. Remember that how the actual paint color will look in your room will depend entirely on the type of light as well as the surrounding colors. It’s a good idea to bring home paint samples so you can live with the color for a few days before painting. You can use a tall napped rolling brush to cover more area faster, but because of the dimpled nature of brick and mortar, you may want to use a hand brush to stipple the paint into the crevices. Let the primer dry. Don’t worry if some of the brick is still showing through; primer doesn’t need to provide full coverage. If your final coat of paint will be a dark, highly saturated color, you can actually use a neutral color (like grey) as your primer. Using a rolling brush or hand brush, paint your top coat color on top of the dried primer coat. You will most likely need to paint two coats and let them dry in between. Remember to select the right paint type for this project (read our primer here).